OPEL 6808606. OPEL ASTRA G Delvan (F70) 1.6 62 09.2000 - 04.2005. OPEL ASTRA G Delvan (F70) 1.7 DTI 16V 55 02.2000 - 04.2005. OPEL ASTRA H Sport Hatch (L08) 2.0 Turbo 147 03.2005 -. OPEL ASTRA H Sport Hatch (L08) 2.0 Turbo 125 03.2005 -. CHEVROLET CAPTIVA (C100, C140) 2.0 D 93 10.2006 -. CHEVROLET CAPTIVA (C100, C140) 2.0 D 110 09.2007 -. CHEVROLET CAPTIVA (C100, C140) 2.0 D 4WD 93 10.2006 -. CHEVROLET CAPTIVA (C100, C140) 2.0 D 4WD 110 10.2006 -. VAUXHALL INSIGNIA Station wagon 2.0 Turbo 184 04.2014 -. VAUXHALL INSIGNIA Station wagon 2.0 CDTI 140 11.2008 -. VAUXHALL ASTRA Mk VI (J) Station wagon 1.7 CDTi 81 10.2010 -. VAUXHALL CASCADA Cabriolet 1.6 125 02.2013 -. 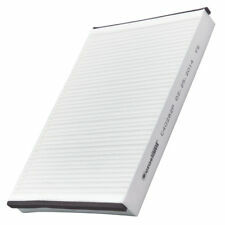 COOPERSFIAAM FILTERS PC8265. CHEVROLET CAPTIVA (C100, C140) 2.0 D 93 10.2006 -. CHEVROLET CAPTIVA (C100, C140) 2.0 D 110 09.2007 -. CHEVROLET CAPTIVA (C100, C140) 2.0 D 4WD 93 10.2006 -. CHEVROLET CAPTIVA (C100, C140) 2.0 D 4WD 110 10.2006 -. Part Number: 93182437. Manufacturer: Vauxhall. 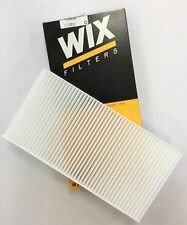 FILTRO ABITACOLO WIX FIAT. GRANDE PUNTO/OPEL CORSA D/ALFA MITO. VAUXHALL ZAFIRA (B) II ZAFIRA II (B) PHASE 2 5P 2008-01->2014-12 2.2i 150 16V (110kW) -Z22YH / LCH- A4. VAUXHALL ZAFIRA (B) II ZAFIRA II (B) PHASE 2 5P 2008-01->2014-12 2.2i 150 16V (110kW) -Z22YH / LCH- M6. 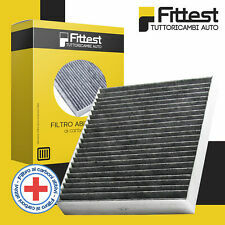 Lavoro lotto x 18 Vauxhall Opel Corsa genuino nuovo polline filtro abitacolo GM 93182437. Produttore: VAUXHALL. Manufacturer Opel. MPN 93182437. Part Manufacturer Number 93182437. MÃ SẢN PHẨM: 2759. VAUXHALL SIGNUM (Z03) 1.8. VAUXHALL SIGNUM (Z03) 2.0 i Turbo. VAUXHALL SIGNUM (Z03) 2.2 i. VAUXHALL SIGNUM (Z03) 2.8 V6 Turbo. VAUXHALL SIGNUM (Z03) 3.2 V6. VAUXHALL SIGNUM (Z03) 1.9 CDTI. VAUXHALL SIGNUM (Z03) 2.2 DTI. Genuine Vauxhall Carbon Pollen Filter. All Part Numbers Used are for Reference Purposes only. Corsa C / Signum / Vectra C / Tigra B. Genuine Vauxhall. 100% Genuine Vauxhall Parts. Carbon Active Pollen Filter. Northern Ireland, Southern Ireland, Channel Islands, Isle of Man, Isle of White. Part Numbers: 95517359, 4407080. 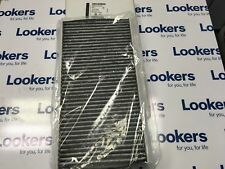 VAUXHALL VIVARO B CARBON ACTIVE CABIN FILTER. Vauxhall Vivaro B (2015 Onwards). Pollen Filters. Autovaux was established in 2001 and is recognised as The Number 1 Supplier for Genuine Vauxhall spares and O.E Quality parts for all car manufacturers with Vauxhall trained staff and the most up to date parts software available. 100% Genuine Vauxhall Parts. Corsa D 2006-2014. Corsa E 2015-. Combo D 2012-. NISSAN PRIMASTAR 1.9 2.0 2.5 | OPEL | RENAULT TRAFIC II 1.9 2.0 2.5 | VAUXHALL MOVANO 1.9 2.5 | VIVARO 2.0 1.9 2.5. 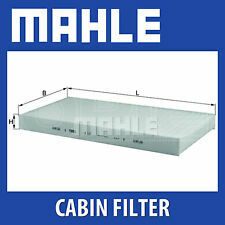 CABIN FILTERS / POLLEN FILTERS. Height (mm): 45. ======================. PART NUMBER: 13356914 -. VAUXHALL ASTRA K, INSIGNIA B, MOKKA -. POLLEN FILTER -. ACTIVE CARBON -. GENUINE OE PART -. 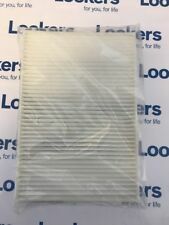 GENUINE VAUXHALL / OPEL FILTER ELEMENT Part Number: 13356914 Compatibility: .......TO BE ADDED...... PLEASE MESSAGE WITH VEHICLE REGISTRATION OR CHASSIS NUMBER TO CHECK COMPATIBILITY. NOTE: The ebay compatibility table above is intended for guidance purposes only. Please check part numbers and/ or contact us with your vehicle registration or chassis number to confirm compatibility. VAT Invoice included 1 Year Vauxhall Warranty Included Thanks!. 1 Year Vauxhall Warranty Included. Part Numbers: 13356914, 1808020. Pollen Filters. Autovaux was established in 2001 and is recognised as The Number 1 Supplier for Genuine Vauxhall spares and O.E Quality parts for all car manufacturers with Vauxhall trained staff and the most up to date parts software available. GENUINE VAUXHALL / OPEL FILTER ELEMENT Part Number: 95517359 Compatibility: .......TO BE ADDED...... PLEASE MESSAGE WITH VEHICLE REGISTRATION OR CHASSIS NUMBER TO CHECK COMPATIBILITY. NOTE: The ebay compatibility table above is intended for guidance purposes only. Please check part numbers and/ or contact us with your vehicle registration or chassis number to confirm compatibility. VAT Invoice included 1 Year Vauxhall Warranty Included Thanks!. GENUINE VAUXHALL / OPEL COMBINATION FILTER. 1 Year Vauxhall Warranty Included. Part Numbers: 95517359, 4407080, 95528256. Vauxhall Vivaro B Carbon Active Interior Pollen Filter. VAUXHALL VIVARO B POLLEN FILTER. For Vauxhall Vivaro B (2015 Onwards) Models. Pollen Filters. Autovaux was established in 2001 and is recognised as The Number 1 Supplier for Genuine Vauxhall spares and O.E Quality parts for all car manufacturers with Vauxhall trained staff and the most up to date parts software available. Part No. 13345949, 1808012. Pollen Filters. Autovaux was established in 2001 and is recognised as The Number 1 Supplier for Genuine Vauxhall spares and O.E Quality parts for all car manufacturers with Vauxhall trained staff and the most up to date parts software available. Schutz der Klimaanlage. 1x 520ml MANNOL 9971 Air Conditioner Cleaner. Eine regelmäßige Anwendung dieses Produkts beseitigt den negativen Einfluss der Klimaanlage auf Ihre Gesundheit. 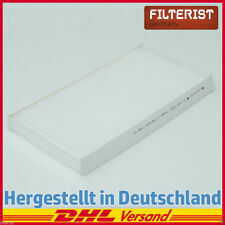 Filterausführung Aktivkohlefilter mit Polyphenol. 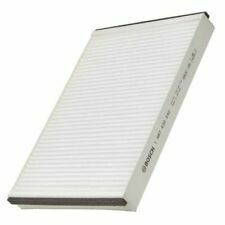 GENUINE VAUXHALL CORSA B & TIGRA A (1993-2000) POLLEN FILTER FOR RIGHT HAND DRIVE VEHICLES Part Number: 90512706 (90483429) Compatibility: CORSA B (1993-2000) TIGRA A (1994-2002) RHD VEHICLES NOTE: The ebay compatibility table above is intended for guidance purposes only. Please check part numbers and/ or contact us with your vehicle registration or chassis number to confirm compatibility. VAT Invoice included 1 Year Vauxhall Warranty Included Thanks!.